Written by Charlene Chigumira, Trainee Project Manager for Healthy Ageing and Patient Safety. 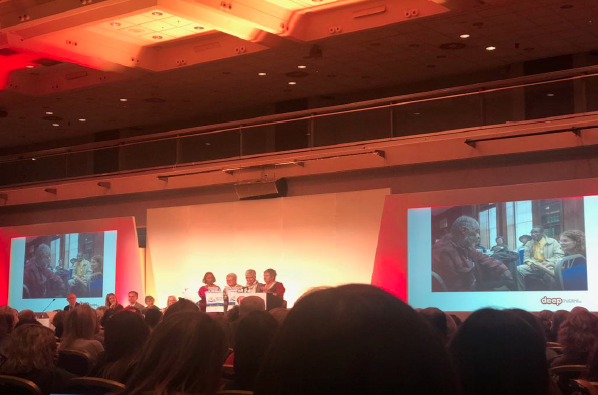 The Healthy Ageing team attended the 13th annual Dementia Congress in Brighton last month, and it was even more special than I had imagined it would be. The lived experiences of people with dementia and their carers were weaved in throughout the congress as they spoke in the different break-out sessions on various topics including culture, assisted living arrangements, music therapy and spiritual support. One ‘End of Life Care’ session I attended hosted by Hospice UK and Dementia UK opened with a carer explaining why every day care matters to her, and how it maintains the dignity and individuality of a person living with dementia. Subsequently, a dementia care advocate, who has the condition herself shared some of the ways it has changed her life, and how the right care can enable her to live ‘interdependently’ (with support when needed, but a degree of independence remaining). Personally, I don’t think this session could have come at a better time, as my team is currently working on a project around end of life care in care homes. I left with a deeper understanding of why co-production is so important in our project work.